Sonoma County Cider Week is just around the corner (August 3–12) and, with it, there are so many cool events to choose from. It can be a bit overwhelming, navigating your way through any city or town’s cider week — as cider fans, we’re often lucky to have just one cider-specific event to enjoy, let alone dozens! Kick off the week in style on Sunday, August 5, with Backyard Restaurant in Forestville. Enjoy an afternoon that includes a pig roast, cider tasting and live music. Tilted Shed, Eye Cyder and Horse & Plow will be pouring ciders, including the special Tilted Plow collaboration cider between Tilted Shed and Horse & Plow in honor of the 2018 Gravenstein Apple Fair (more on that below). Don’t you love a behind-the-scenes experience? 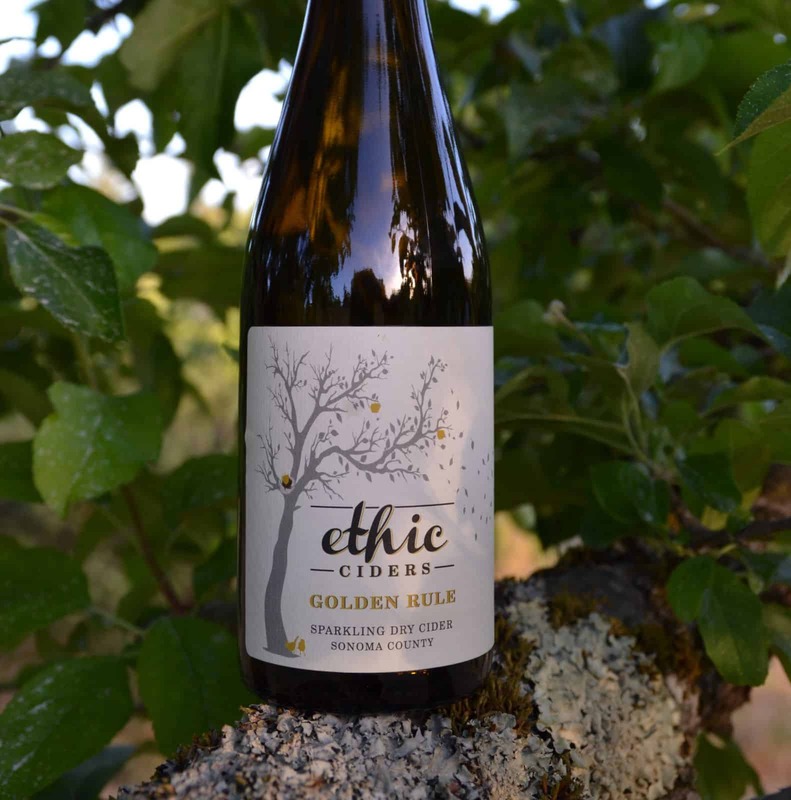 On Wednesday, August 8, join Ethic Ciders for a tour of its organic cider orchard, which is managed with one of Sonoma County’s first Orchard Carbon Farm Plans. A partnership between Ethic Ciders Orchard Manager & Cidermaker Ryan Johnston and Founder Ned Lawton and Goldridge RCD and NRCS has allowed Ethic to identify practices that increase carbon sequestration and reduce greenhouse gas emissions. This means they’re able to reduce atmospheric CO2 levels while improving soil health, water-holding capacity and crop and forage production. On the tour, guests will learn about regenerative orchard management strategies and techniques for growing apples for cider. Get ready to explore rehabbing old neglected apple trees, top-work grafting old trees to cider varieties and replanting new cider specific varieties. Attendees are encouraged to share their experiences with growing apples or with carbon farming, and to bring questions to learn more. Find your tickets here. On Thursday, August 9, join Handline Restaurant, an extremely cool drive-in-inspired restaurant in a repurposed Foster’s Freeze, in its backyard garden for a bunch of tasty cider and food pairings. Local cideries on deck include Ethic Ciders, Horse & Plow, Eye Cyder, Preston Farm and Winery and Golden State Cider. Snap up tickets, and feel good knowing that net proceeds from ticket sales will go to support the North Bay Just & Resilient Future Fund supported by the Farmers Guild and Daily Acts. In the midst of all of the Cider Week activities, don’t lose sight of what’s at the heart of all great cider: great apples! Celebrate our favorite fruit at Sonoma County Farm Trails’ 45th Gravenstein Apple Fair on August 11 and 12. From 10 a.m.–6 p.m., gather beneath the shady oak trees in Ragle Ranch Park in Sebastopol to enjoy live music on two stages, arts and crafts vendors, local food, cider (beer and wine, too), contests and activities, a Children’s Corner, a Do-It-Yourself Arena, the Life on the Farm Arena and the region’s famous heirloom Gravenstein apples. Tickets run between free (for kids five and under) to $15 (on-site admission for adults). Note that all on-site tickets are cash only. For an extra $20, savor the perks of the Artisan Tasting Lounge at the fair, with cider tastings including Golden State Cider’s coveted Harvest Series and Tilted Shed and Horse & Plow’s Gravenstein Apple Fair collaboration cider. In the relaxed, shady lounge, meet the makers and sip on cider, along with enjoying cheese pairings, restaurant bites, specialty cocktails and more. If you don’t want to commit to the lounge, you can still enjoy pay-as-you-go cider at the Craft Cider Tent.